Discussion in 'GPS Tracks - Central, Texas & Gulf States' started by Cannonshot, Nov 30, 2018. This is a 95 mile dual sport ride that takes in scenic waterfalls in Florence County in the extreme NE corner of WI. ATV trails in Florence County is not open to motorcycles at this time. 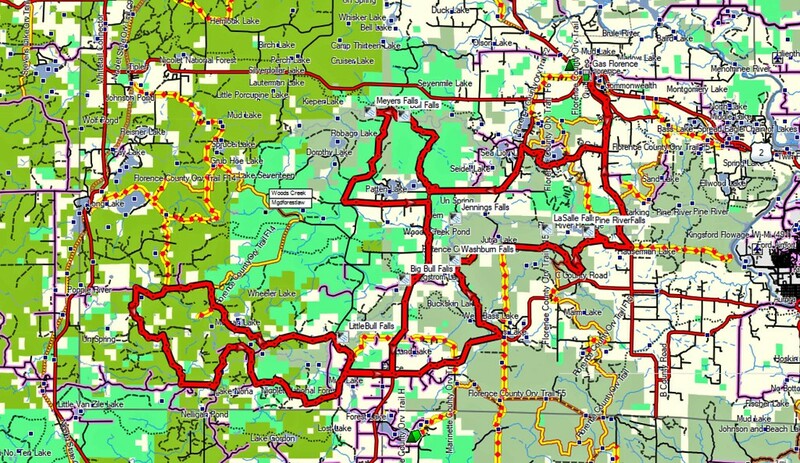 The GPX guided path uses a combination of forest roads and other highways some of which are also ATV routes (but not ATV trails). Routes are open to OHM since they are roads open to DOT licensed vehicles.